Fun matching game for civil rights activists awareness! 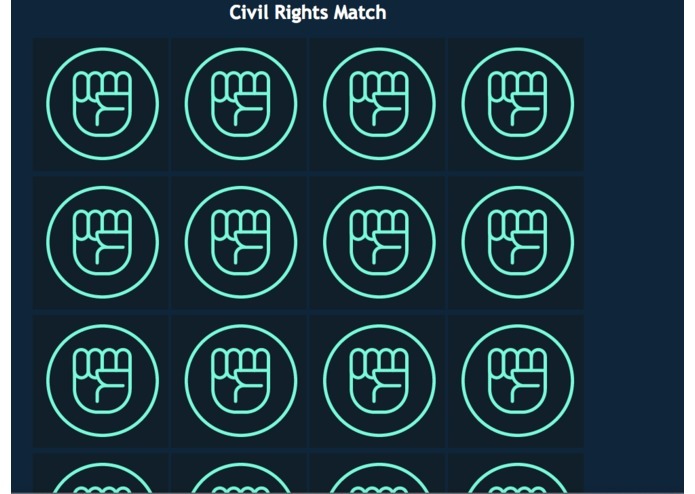 Today we have created the website game “Civil Rights Match”. 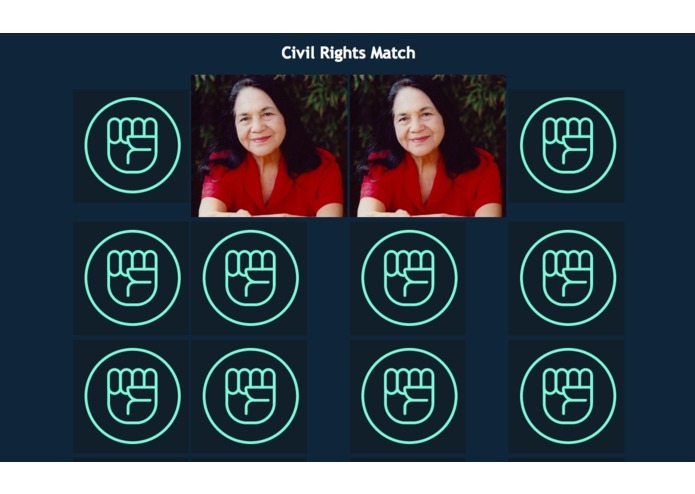 This is a simple matching game which includes many civil rights activists. This is the perfect game for kids to learn about the many important people who fought for their rights. Let’s get right to the demo now. Here is our game. There are two of the same image of a certain civil rights activist, and your goal is to find both of the images in a row as fast as possible. So when we click start the game will begin. As you can see we are checking each of the hidden images and trying to match the other identical image. When you click on a square, an activist’s image pops up and then when you click on another one, it remains there. However, if it is not a match then those cards will turn back over. But, if it is a match then you will score a point. In the end, you should have found and matched all of the images.